While there are proposals to rein in the situation by reducing VAT, usually it is left not to the consumers, but to the service providers or retailers. As such until it is clear that the consumer is made the winner, VAT will not be reduced, Prime Minister Saulius Skvernelis told LRT Radio. Furthermore, he adds, no talks are being held regarding the presidential electoral campaign and will not begin any time soon and political scientists who make such conclusions are poor. S. Skvernelis firmly denies that his claims that Lithuania should renew relations with Russia are the begining of his electoral campaign, stating, "Poor are the political scientists who manage to come to such conclusions. Firstly – there are absolutely no talks about the presidential electoral campaign and it would appear will not be for a while yet. Second – I want to very clearly repeat once more that I was speaking about the possibility to have political contacts with the neighbouring state not even at the highest level. And interpretations, our propagandists' desire to portray that some sort of friendship with Russia is pursued have no basis; it is a distortion of words and thoughts." With the newest surveys showing that up to 65% of Lithuanians are concerned over rising prices and the Bank of Lithuania presenting proposals on how to rein in the price increases, the prime minister states that some of the tasks outlined in the proposals have already been accomplished, are underway or are planned. In terms of plans to reduce VAT, the PM points out that similar situations have occurred and the reduced VAT is usually left not to the consumer, but the service provider or retailer. As such, he notes, until it is clear that the winner from a VAT reduction will be the consumer, it will not be done. PM Skvernelis explains that the government has formed a surplus budget and is accumulating reserves and that for the lowest earners, a tripartite agreement with businesses to increase the minimum monthly wage, reaching between 42% and 46% of the average monthly wage. "We have performed the tax reforms which allow for greater earnings for those earning the least. Perhaps it has not reached the middle class so far, but that's what this year is for," he stated, adding that other foci will be encouraging competition and reductions in monopolistic agreements. In terms of the Lietuvos Geležinkeliai [Lithuanian Railways] reforms, S. Skvernelis explains that it had to be done regardless, in order to avoid EU sanctions for failing to implement the European Union 4th railway package. The selected route is to separate the company's fields of work, making them more effective, while at the same time retaining 100% state control of the company. The model that was chosen emulates best practices in Western Europe, which show that adherence to EU legislation is sufficient to achieve maximum work effectiveness. S. Skvernelis believes that it is both a political and economic decision. On one hand it is linked to adherence to EU legislation, on the other hand he finds it to be a rational decision to separate the three directions, with financial flows and decision making for all three being mixed together. When asked whether this could lead to increases in passenger rail fares, Prime Minister Skvernelis stressed that none are expected to occur. Claims have appeared that there are proposals to purchase not only the land made available by the Lithuanian University of Educational Sciences merger with Vytautas Magnus University, but to also to construct the so called ministry campus on them. Prime Minister Skvernelis does not deny the possibility, pointing out out that at least six ministries are in ineffective locales and could be relocated to such a campus, but no decisions have been made yet. He also stated that if the university's current property were sold, the funding would likely be dedicated to improving university infrastructure and student accommodation. 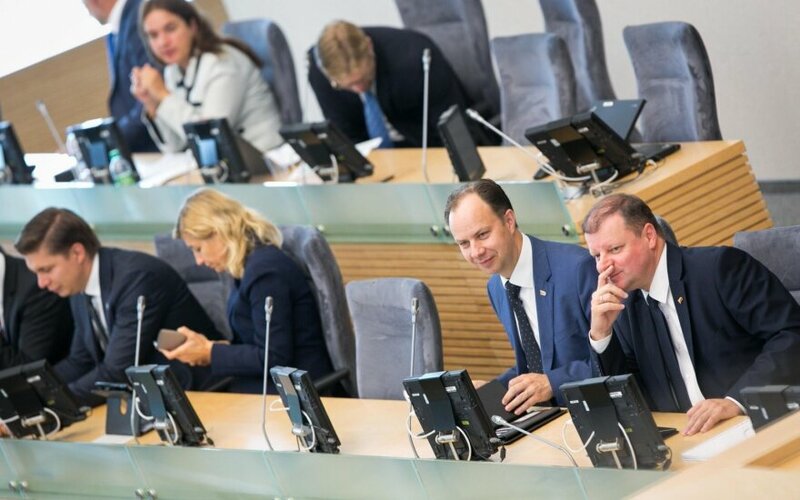 The cabinet has ruled against the law for the construction of the Vytis statue in Lukiškės square, while it would appear that the Seimas might have been supportive of the move. To this the PM points out that an incorrect means of regulation was chosen, demanding by law to place a specific object in a specific location and also that the project is in excess of its budget allowance, all of which must be considered by legislators before moving forward. 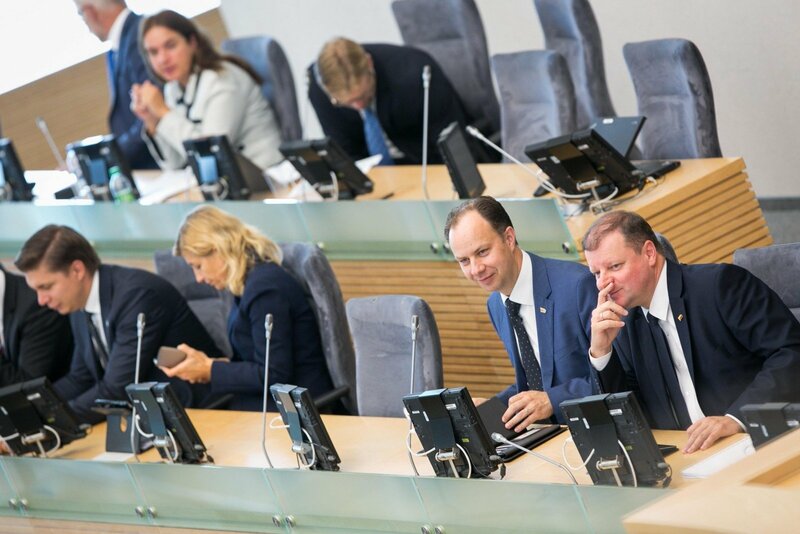 On a personal level, Skvernelis observes that while some believe the disputing parties will be unable to come to terms, it is namely the discussion and seeking of compromise, which is one of the great victories of Lithuanian society, and democracy, instead of what would once have been an order without consultation.